In a nation now all too familiar with a “too big to fail” banking system, a heavily manipulated and high frequency dominated equity market, and an incestuous financial regulatory system, we should not be surprised with a mortgage settlement that does little more than ‘piss into the wind’. How Did FINRA Know the ARS Market Was Failing Well Before 2007? If you knew a market were starting to fail, would you step in and purchase that asset? If that market were failing, but simultaneously being propped up by underwriters, do you believe regulators should protect you? If that market were failing and a regulator charged with protecting you actually dumped some of those failing assets from its own portfolio, how would you feel? If you owned some of these securities, do you think you might be protected by the regulator? The government? Let’s reenter the world of auction rate securities and continue to bang the drum for those investors in America who have been so badly mistreated by the financial industry, the regulators charged with protecting them, and our government. Which U.S. Bank Will Wikileaks Expose? If I had a nickel for each and every time I wrote those prized virtues here at Sense on Cents, I would have a lot of nickels. I not only espouse these principles in my writing. I strongly believe that the pursuit of these virtues is the foundation for real economic success, if not life itself. Q: Which full-service brokerage firm has NOT redeemed their clients stuck in auction-rate securities for the past 28 months? 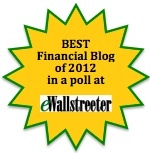 Goldman Sachs, Morgan Stanley, Citigroup, Wachovia, Bank of America, Oppenheimer, TD Ameritrade, Fidelity, Merrill Lynch, UBS? OPPENHEIMER: DO THE RIGHT THING!!! On behalf of auction-rate securities investors everywhere, I am happy to run this ad here at Sense on Cents!! This specific ad was submitted by a group of Oppenheimer clients. Does anybody have any doubt that massive fraud within our mortgage industry played a large part in our current economic crisis? America continues to suffer from the fakers and phonies within our financial regulatory structure (including Alan Greenspan) who fail to accept responsibility for their shortcomings and the resultant frauds. When in doubt, hire a consultant. When something fails, blame the consultant. Shirk responsibility and pass the buck. Is the stock market being manipulated? I can not count the number of times I have been asked that question over the last 9 months. Rather than my offering personal opinions which market pundits may view as sour grapes or worse, I want to revisit a ten-minute segment of my interview last evening with Phil Davis. Why do some banks seem to trade at cheap, if not depressed, levels? Where is Wall Street Hiding Hundred Plus Billion in Lo$$es? Banks are increasingly healthy, right? Our nation’s accounting rules promote real transparency and integrity in our financial reporting, right? Housing is bottoming, right? No, no, and no! Why so pessimistic, you may ask? I am not pessimistic at all. 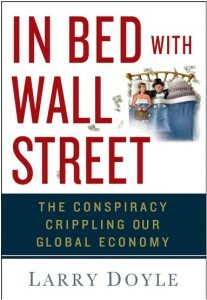 I am merely searching for the truth in the midst of the smoke and mirrors on Wall Street and in Washington. 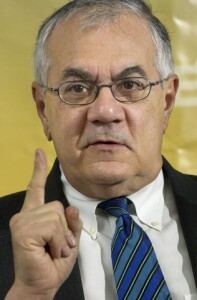 Thank you to our friends at 12th Street Capital for sharing a recently released letter from Congressman Barney Frank imploring the four largest banks involved in mortgage originations to write off second liens they are holding on their books at inflated values.